When we started this program in 2007, there were only fifteen mountaineers who went to Sitio Saybuan in Itogon, Benguet. Now, the number of our volunteers multiplied by tenfold and with it the number of donations we were able to leave our beneficiaries. It was the TREK with the most number of participants. We had to debate a couple of times on limit on the number of participants, as we worry about our group's impact on the community and also on the trail we walk on. 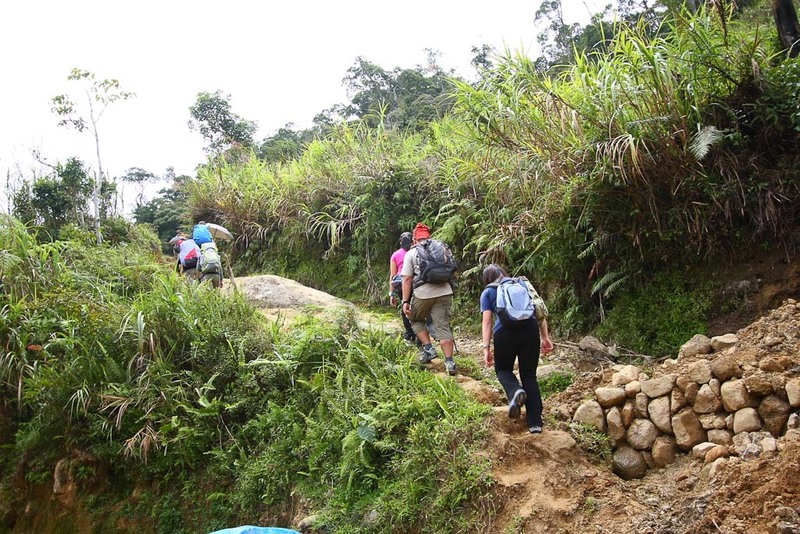 The trail that led us to Atan Elementary School at Barangay Runruno in Quezon, Nueva Vizcaya was long and difficult. We took at five-hour bus ride from Manila to Barangay Antutot in Kasibu, Nueva Vizcaya, then another 30 minutes jeep ride to the jump off point. Some participants opted to start their trek from Barangay Antutot. From the jump-off point, it was another two and a half-hour trek to the school. Students and their parents met us at the jump-off point. They were there to help us carry the donations. That was part of the counterpart we requested from the school. 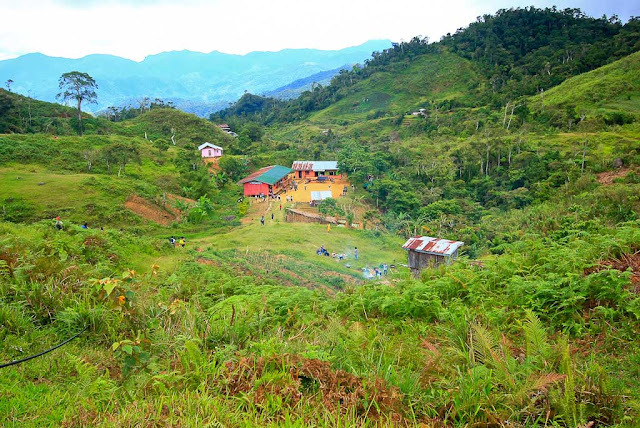 A week ago, the parents also started building the school's water supply system and comfort room from the construction materials donated by the donors of TREK. Being used to walking this route, they children and their parents didn't have as much difficulty in carrying the donations. They didn't look as tired as us. Good thing, the weather cooperated. The past few weeks, the country has been wrestling with rains. That day, we were blessed with a really good weather with enough sunshine and cool breeze. We could imagine how slippery the trail might have been if it were raining that day. There's not much forest cover left in the trail that we passed. Most farmers here resort to Kaingin, which proves how difficult life is for the residents of Kasibu and Quezon. We reached the school before lunchtime. The students were already gathered on the school grounds. Some of the parents have already started preparing the students' lunch. We immediately started unpacking our boxes to prepare for the gift exchange ceremonies. It was really volunteering power at work. Most of the participants showed initiative and helped in coordinating the program. 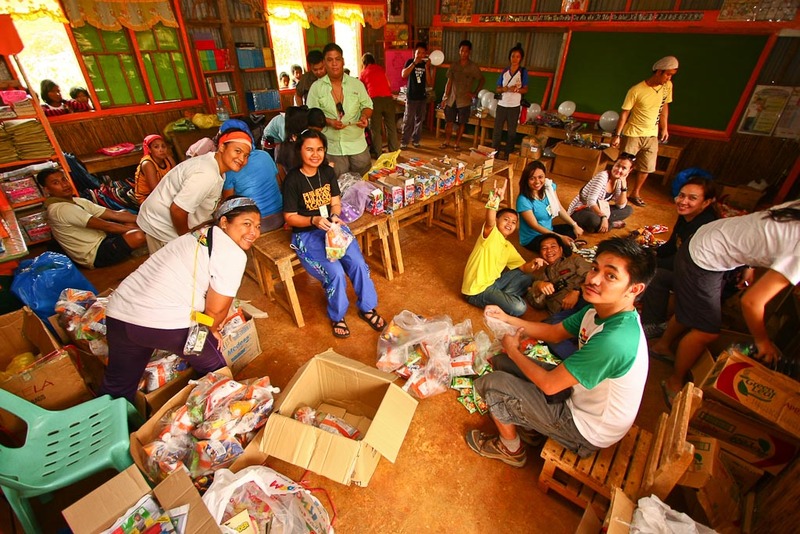 All stations were full - from unpacking the boxes, to the loading of the backpacks and loot bags, to fixing the solar panels, to decorating the area with our donations. Some of the students watched us from outside the classroom windows while we fix the donations while others participated in our mini art contest, which was organized with the help of their schoolteachers. After about an hour, lunch was ready and the parents started serving the students. We bought a native pig, which was cooked using the traditional way by their parents. They called it "wat wat," which is basically boiled pork. After that, we started with our program with welcome remarks from the school principal Mario Manzano and another school official, Virgie Aroco. Both expressed their gratitude to the group for reaching out to the students of Atan. They said that it was the first time they received donations for the school. We also had a local barangay official present, who expressed his apprehensions about the group's intentions. He though we were miners or connected to a mining firm. After realizing that we were just a group of friends who want to help and reach out to communities, he expressed his happiness over our decision of coming to their place. Their expression of appreciation continued with the local dances performed by the students and their parents. We are lucky we still get to experience and see these. Slowly we could feel the students being more receptive to the guests of their village. 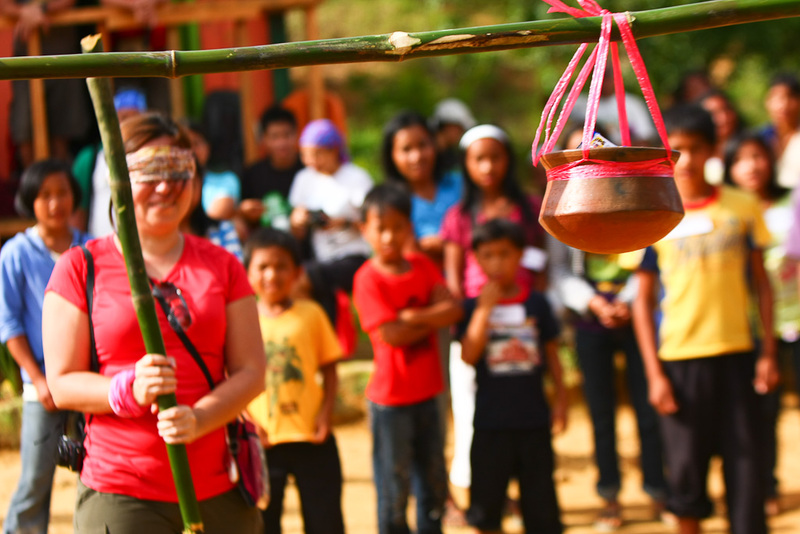 We brought out our earthen jar and pabitins and introduced to them two traditional Filipino party games. Soon, we could see the kids smiling, giggling and laughing. After the games was the most awaiting part of the program. All our volunteers lined up to pass the backpacks filled with school supplies to the students, while others led them to one area where they chose their new slippers, raincoats, and boots. We thought it was really important for the children to have these, as most walk by as much as two hours just to go to school. Then, it was more surprises for the students as we distributed loot bags filled with goodies from Universal Robina Corporation and toys from Pherica Corporation. Meantime, in the classroom, we held a more formal turnover of the books donated by Diwa Learning Systems, the Bato Balani Foundation, and the Department of Education to the teachers and school principal. 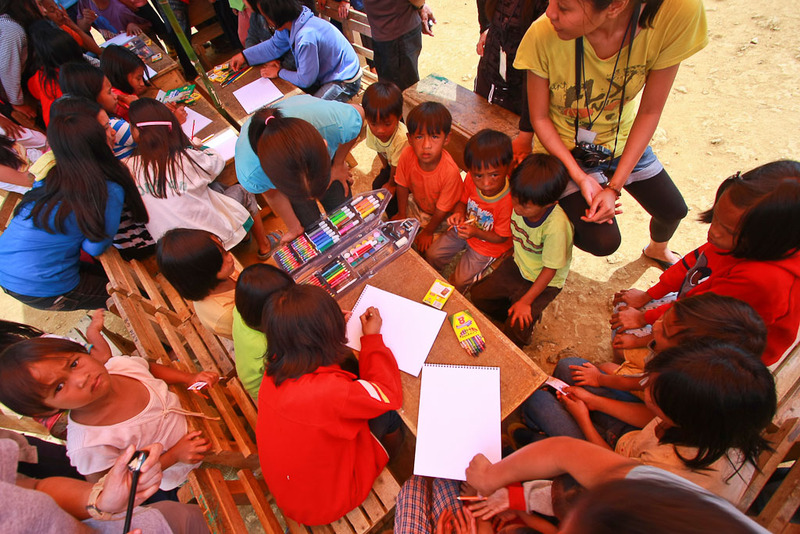 For most schools in isolated areas, the burden of providing the students with school supplies are usually passed on to teachers. That is why Ma'am Virgie and all the other teachers are so thankful not just for the new set of school supplies but also for the other educational materials that will aid them in their teaching. Rommel Duyapat, the Supreme Student Government Council Head of Atan Elementary School spoke last and he assured us that they would take care of the donations and will make full use of them in achieving their dreams.